Stop Snapping, and start Shooting! Not satisfied with your photos? Learn how to get the most out of your digital camera with our range of specialised underwater digital photography courses. Whether you aren't satisfied with your pictures, or you have just bought your first underwater camera, get the shots you want by taking an underwater digital photography course on Roatan, located in the Bay Islands of Honduras. From the deep walls to the sunlit shallows, it's a photographer's dream. Courses are taught by author/photographer Mickey Charteris. 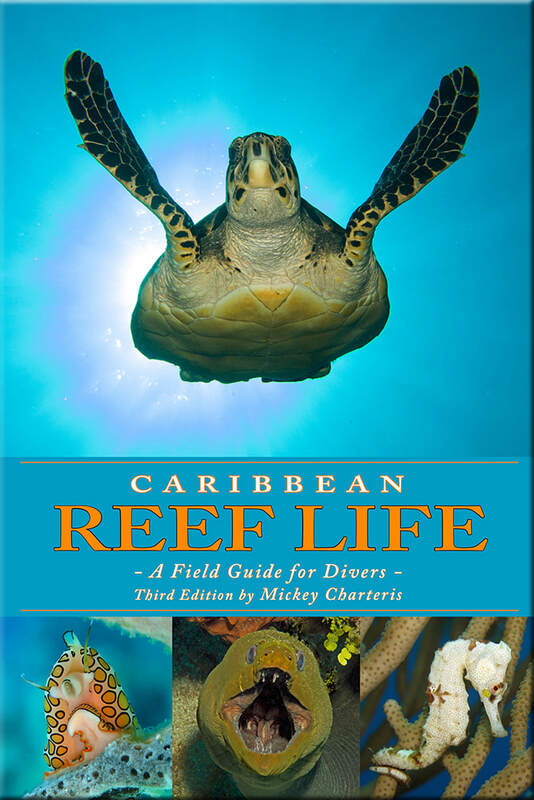 His field guide to the underwater world "Caribbean Reef Life" is a full-color, 350 page book showcasing over 1000 Caribbean species and is an invaluable resource for all divers and underwater photographers. It can be purchased online, either as e-books or hard copies delivered to your door. Mickey is based on Roatan and has led thousands of dives on his favourite reef. He is now sharing his love and knowledge of underwater photography in a range of specialised courses. Visit www.caribbeanreeflife.com for more on Roatan's incredible reef bio-diversity.